Each year in July there will be tours of One Planet Development plots across Wales. The next event will commence Monday 22nd July 2019. See below for what happened in 2018. Note that all tours are kindly hosted free of charge by the residents, however a donation of £3 to £5 per person would be a welcome contribution. Please respect residents privacy and generosity by staying with the tour, supervising children at all times, keeping dogs on leads, and requesting permission before taking photographs. One Planet Developments are also required to minimise traffic impacts: please car share where possible (use the Facebook event page to offer or request lifts). Please bring weather-appropriate clothing and sturdy footwear. Toilet facilities in general are basic composting loos of various levels of sophistication – the faint-hearted should plan to go beforehand! If you have any accessibility requirements please get in touch with info@oneplanetcouncil.org.uk before visiting, as some plots are unfortunately not yet able to accommodate wheelchair access. Read on for details of tour locations, dates, times and facilities. Now in its ninth year this established OPD plot demonstrates abundant gardens, successful animal husbandry practices, a collection of natural building techniques and a range of micro-businesses (including soft fruit and christmas trees). Also includes the visionary Lammas Earth Centre (currently under construction). 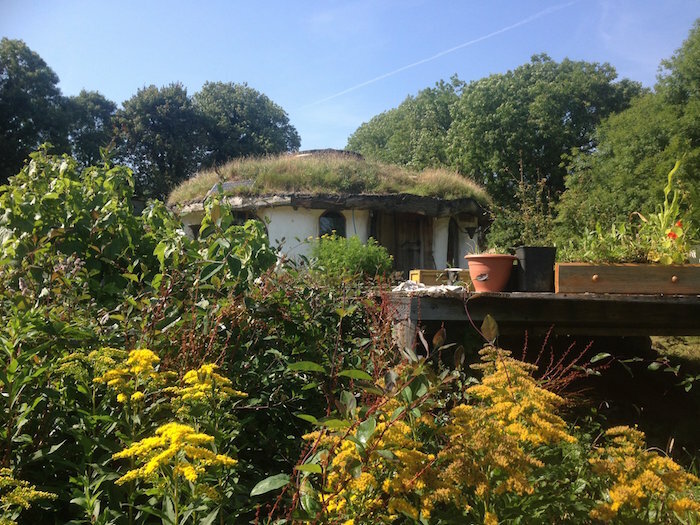 This smallholding has been established for just a year, it is an agro-forestry OPD – growing furniture, producing pollinator and edible plants alongside our own produce. Based on old over grazed pasture land we are planting to increase biodiversity and create a sustainable landscape for the future. Follow Lammas track all the way up to the top (keeping right at any track forks). The two plots hosting tours today are both within walking distance of the Lammas Community Hub (SA34 0YD). Please park there and walk unless you are unable to do so. A disabled accessible toilet is available at the Lammas Hub. You may picnic on the grass outside the Lammas Hub, near to the car park. From the car park, take the track leading past the Lammas Hub building, turn right at the millpond and follow the track up to the house. From the car park, take the track leading directly up the hill all the way up to the top, keeping right at all forks. We love living simply on the land. 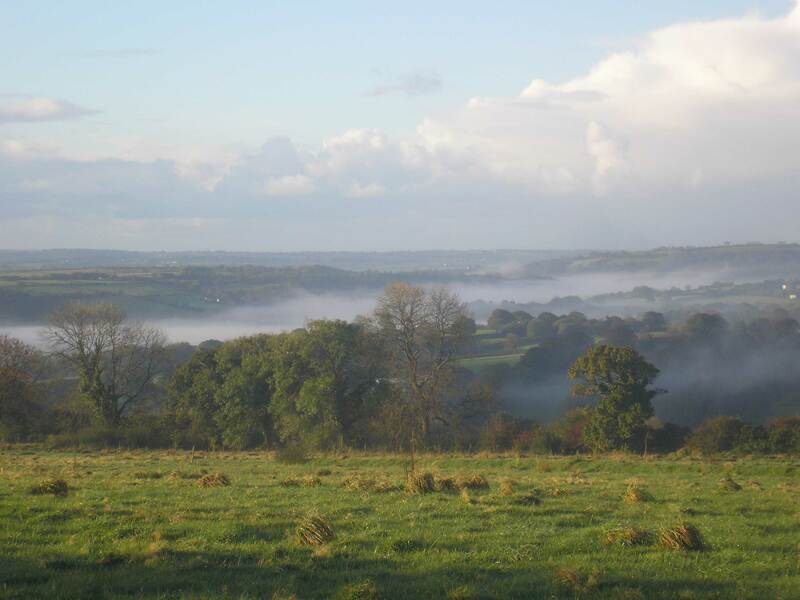 Pencoed is a 12.6 acre smallholding, comprising wild meadows, wetland and woodland. Our work in progress includes a self-build timber/straw bale family home, orchard, craft willow beds, apiary, forest garden. Planning permission since March 2018. Both of these sites have limited parking availability. Please car share if at all possible. Park in woodland carpark next to Nant y Cwm school and walk up with the school on left, go 1/4mile, turn left onto farm track sign “Bryn yr Blodau” and another 50 m to the roundhouse. 2pm: Pencoed, Llechryd, Cardigan, Ceredigion, SA43 2PB [toilet] [refreshments] Pencoed (postcode SA43 2PB) is accessed via a back lane which loops off the A484 between Cardigan and Llechryd. From Cardigan take the A484, signposted Newcastle Emlyn and turn right at Croes y Llan, i.e., the first settlement you come to. This is a quiet loop lane which ends up at Llechryd bridge. Continue along the lane climbing up and down and winding round through the woods, for approx 1.3 mile until you see a house called Ty Fri on your right hand side. Our entrance is around 100 metres past on the left hand side and has 6′ high cleft chestnut gates. Drive into the track and continue along until you reach the parking area. Limited parking on site, after which you will need to park in Llechryd village by the bridge and walk up road parallel with the river. Car sharers could meet in Llechryd or Cardigan. Dan, Sarah and their family of five children live in the Caerphilly Borough just north of Cardiff. They been living on site since June 2009 and were granted planning permission in April 2014. 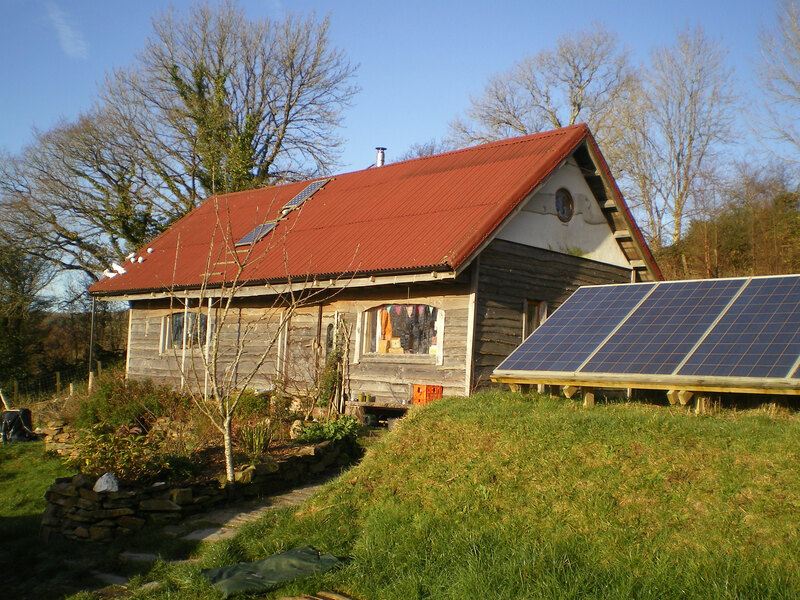 Their aim from the beginning was to live a sustainable lifestyle, to grow their own food and generate their own electricity. They set about working on their land and built a cabin to live in after they had lived undetected for two years. 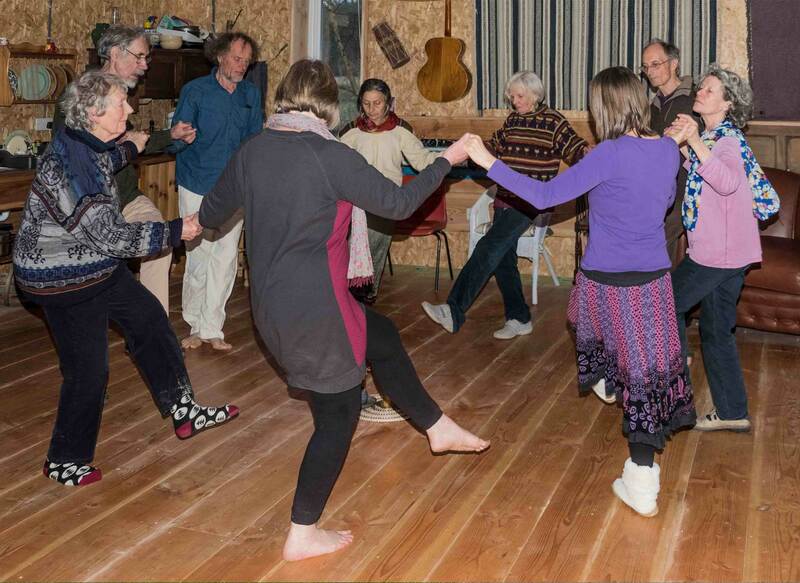 When the OPD policy arrived, it meant they could formalise the existence of their cabin and outbuildings whilst continuing a low carbon footprint lifestyle and achieving an income from the land. Two tours available at one of the longest-established OPD smallholdings. Parking is available on site but please also consider public transport – if you are reasonably fit, it is about a half hour walk up the hill from Lisvane & Thornhill train station, which would also be a good place for car sharers to meet. 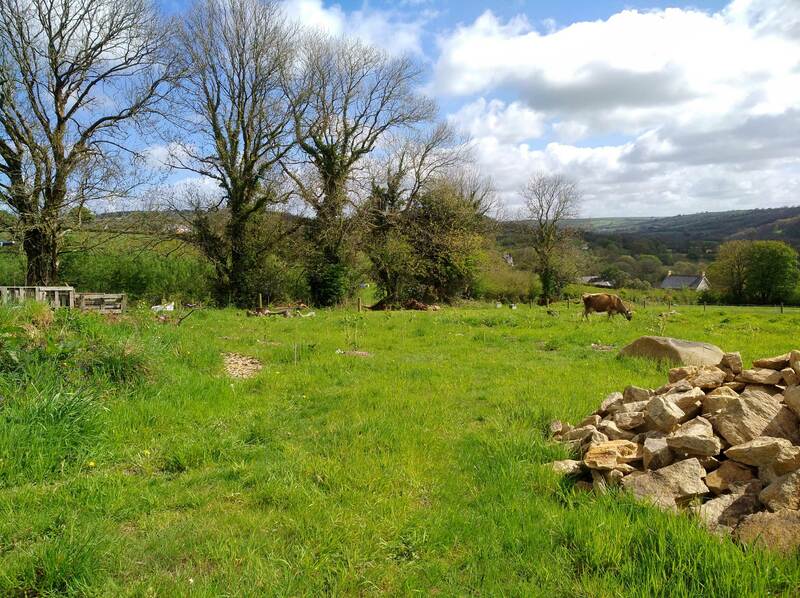 Gelli Y Gafel began as two pasture fields which we are tranforming into bio-diverse and multifunctional ecosystems using permaculture principles. We have areas for annual and perennial crops, soft fruit production, forest garden, orchards, nuttery, timber and coppice, plant raising, grazing for sheep, wild areas and ponds. Our land based businesses are selling wild foods, carpentry and we hope to produce fruit wines and cider for sale in the future. Plas Helyg means ‘willow palace’, reflecting the dedication to willow cultivation and craft that we practise here. Our two primary land-based products are 18 varieties of hand coppiced chemical free willow, and our lovingly hand sheared high quality Blue Faced Leicester wool. We run lots of courses in basketry, sculpture, felt-making, as well as eco-building. 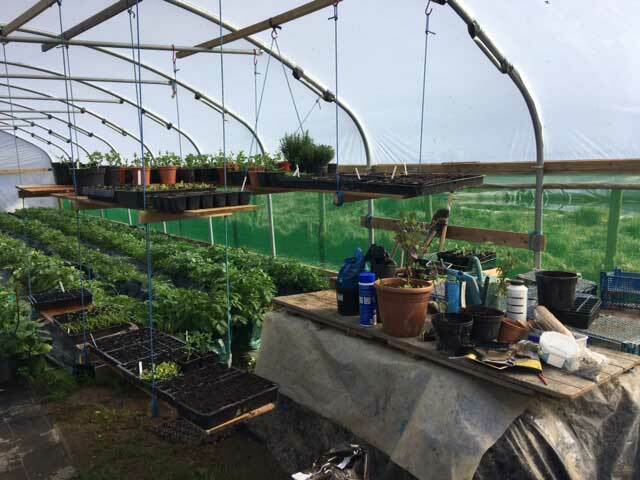 We have a productive garden, including two hand crafted cob greenhouses, and we produce large quantities of soft fruit, eggs, a wide range of vegetables and more specialist products such as medicinal herbs and plant dyes. From the car park, take the track leading past the Lammas Hub building towards the millpond. Pass the millpond on your right and continue up the track to the farmyard. Turn right before the agriculture buildings, Gelli Y Gafel is on your left. Alternatively meet in the Lammas hub car park at 10am. Cassandra will meet visitors in the Lammas car park. Otherwise take the track leading directly up the hill and then the second left. Our OPD business plan includes a nano dairy and a natural remedies range made from beeswax and flowers and herbs grown on site. We have been living on site for one full year now and have mostly focused on building the house, which will hopefully be finished this winter. We gained planning permission in July 2016 and our plot is called Ty Gwennol. 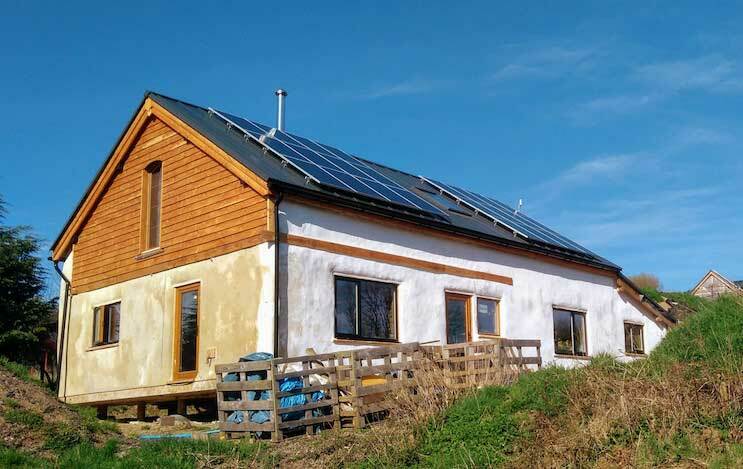 We are currently building our off-grid roundwood timber frame, straw bale house. Our land-based businesses include a large apple orchard and beekeeping and we are looking forward to getting back to growing more of our own food next year after spending the last year on the house build. The plot is called Dan Y Berllan which means “Under the Orchard”. 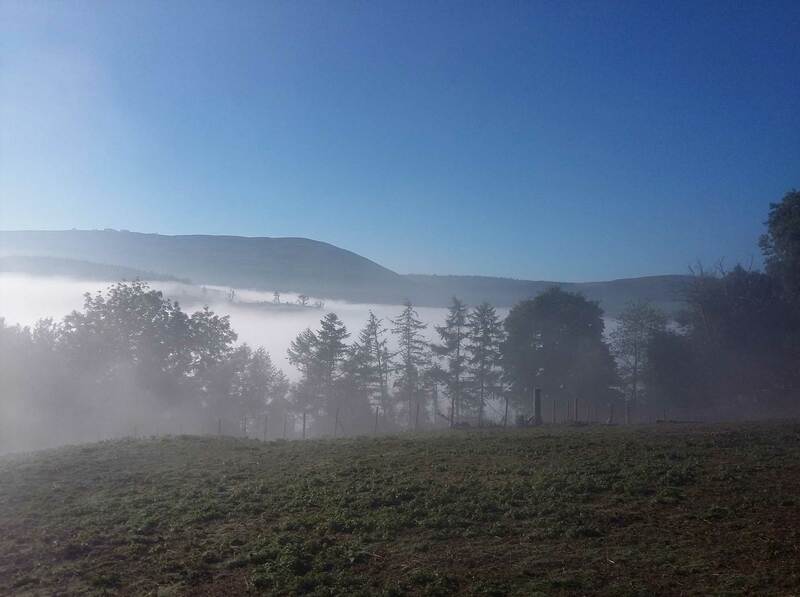 Criafolen is a newly established Cool Temperate Permaculture Project. 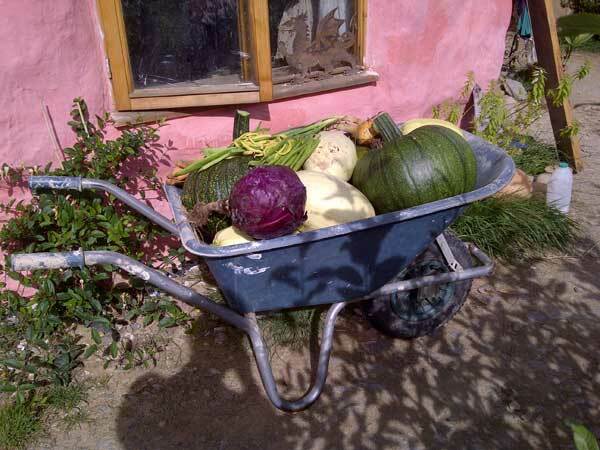 We do Permaculture teaching / consultancy and traditional Crafts. Our land based business are Musical instrument making, forest school and outdoor education as well as food production. We have a large polytunnel, a no dig garden and a large orchard. Rhiw Las, Whitland, Carmarthenshire, SA34 0LH, is a group of four One Planet Developments each offering short tours. Parking is available on site: if using satnav note that we are a few hundred metres to the north of where the postcode will take you. Link to map pin here. There are regular train and bus services to Whitland, which is about 3 miles away. Car sharers could meet in Whitland and keen walkers may enjoy the Landsker Borderlands trail footpath from Whitland to the site (about an hour, moderately hilly). Picnic space is available on site between the tours and some residents will be around for a chat over lunch as well. Please arrive either promptly at 10am or between 12.30 and 2pm. This site is one of the pioneers, having gained permission in 2009 under Pembrokeshire’s local Policy 52, a precursor to the OPD policy. Green Apple is dedicated towards making a positive multidimensional contribution to finding a way through the present planetary environmental crisis. 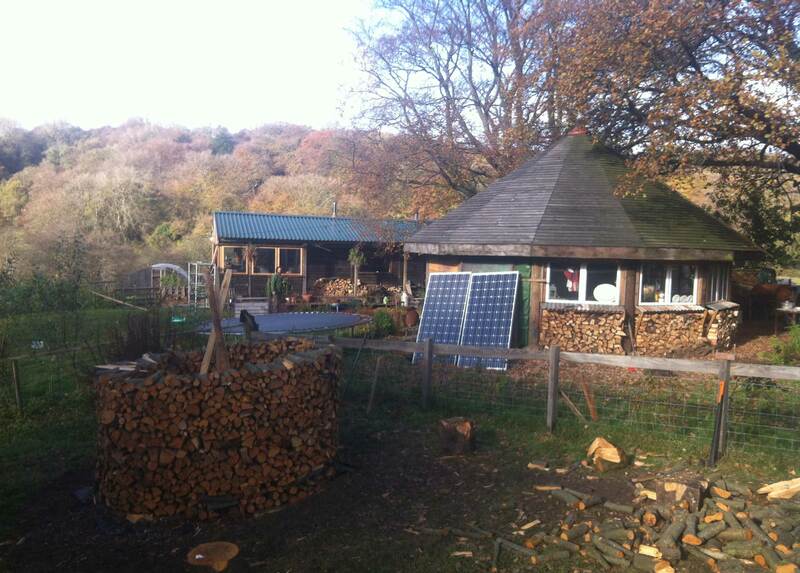 Dee Wood (Ty Coed) is a smallholding and Woodland business offering: Woodland Products – buildings, milled timber, charcoal; Sustainable Woodland Management; Permaculture; Low Impact Living; Eco-Building; Courses; Ecotherapies – counselling, mindfulness, well-being. 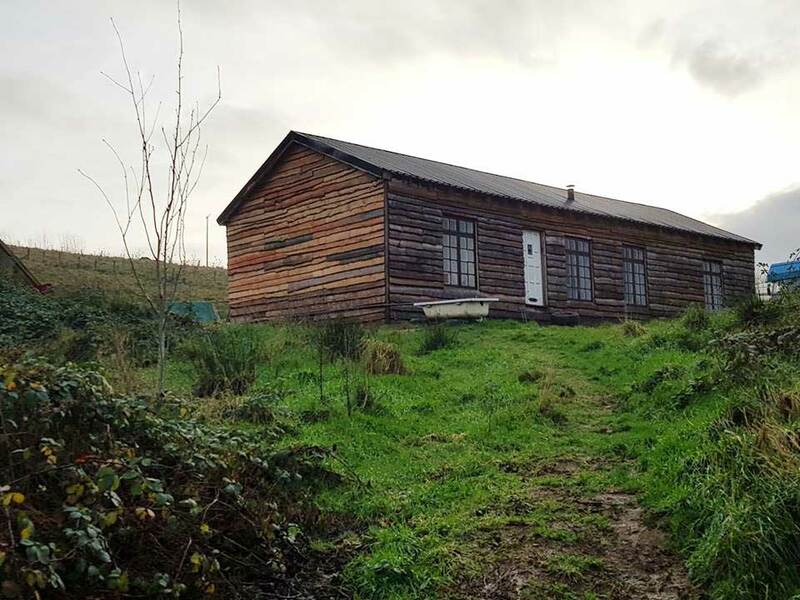 Dee Wood is a 17 acre site which is situated in an Area of Outstanding Natural Beauty in Glyndyfrdwy, Denbighshire, North Wales, LL21 9BS. 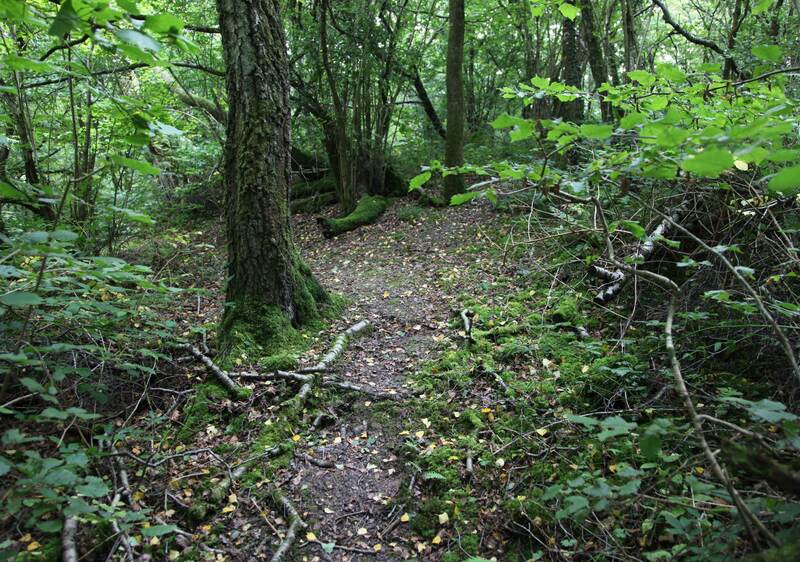 Planning permission was granted in March 2018 but the woodland business has been established for 8 years. Today there is a South Wales and North Wales option, but you won’t be able to get from one to the other in time to do both! Take the turning for Cosheston off the A477 and travel up to the village past the war memorial and carry on straight for about 2 minutes until you come to a crossroads. Green Apple is on your right. Parking is limited so please car share if possible. Turn off A5 into village of Glyndyfrdwy. Proceed through village and cross bridge over river. Turn right towards Rhewl at end of bridge, pass Coed Y Glyn cabins and turn left at fork in road. Proceed up hill and there will be a sign saying Dee Wood, continue driving into wood until you reach the car park. In November 2014 we, as a family of four, obtained planning permission for our 7.5 acre, semi mechanised, low budget, land based One Planet Development called Parc-y-dwr. 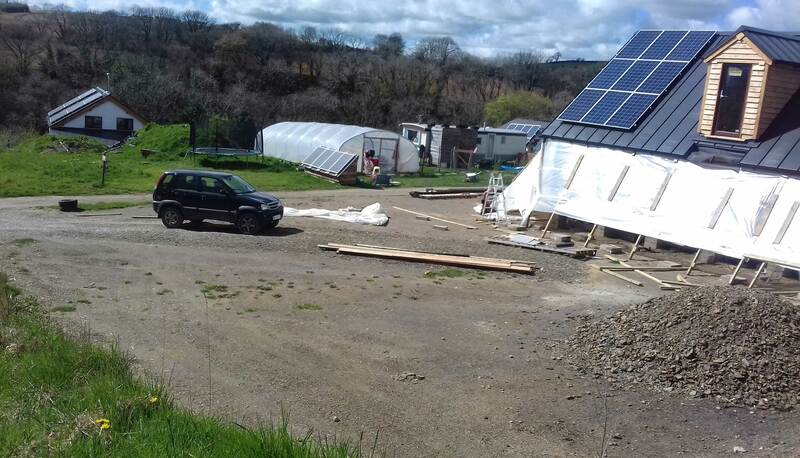 Our aim is to develop our smallholding into a productive and highly interconnected system of plants, animals, energy, nutrients and life. We are working towards acheiving our land based income by producing willow products, apple products, honey, christmas trees, plants, seeds, nuts, fruit, vegetables, preserves, wood craft, meat, eggs, milk and dairy produce. 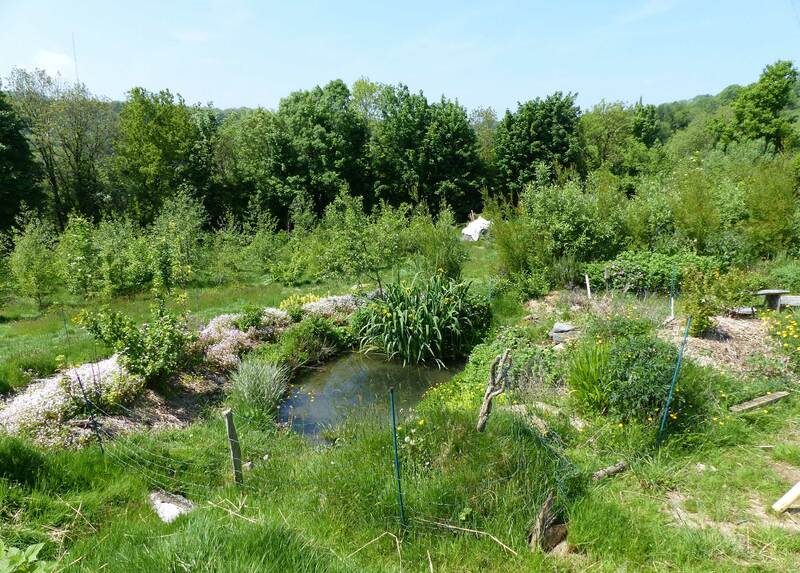 This smallholding has been established for just a year, it is an agro-forestry OPD – growing furniture, producing pollinator and edible plants alongside our own produce. Based on old over grazed pasture land we are planting to increase biodiversity and create a sustainable landscape for the future. Located in the south west quadrant of the first small crossroads as you travel west, up the hill from the ‘centre’ of Glandwr. We have somewhat muddy parking for a couple of cars with average ground clearance (no sports cars). We don’t have access for the disabled or people with walking difficulties. Our current toilet facilities are highly primitive and could be considered “emergency only” to people with a delicate disposition. We have currently no produce to sell. Within walking distance of the Lammas Community Hub (SA34 0YD). Please park there (link to map pin) and walk unless you are unable to do so. A disabled accessible toilet is available at the Lammas Hub. From the car park, take the track leading directly up the hill all the way up to the top, keeping right at all forks.